You can find no shortage of classic films to watch on Open Culture. (See our collection: 1,150 Free Movies Online: Great Classics, Indies, Noir, Westerns, etc..) But what we haven't given you is a toolkit for engaging in a more formal study of these films. Enter The Columbia Film Language Glossary, developed at the Center for New Media Teaching and Learning at Columbia University. The free/open resource uses a combination of text, film clips, and audio commentary to explain terms essential to the study of film -- words like Cinema Verité, Montage, and Mise-en-Scène. And it also defines a lot of nuts-and-bolts concepts like Aspect Ratio, High-Angle Shot and Long Take. 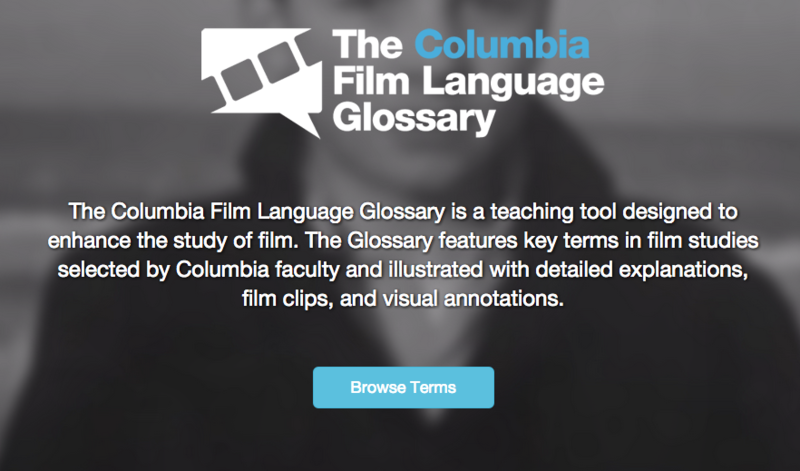 The Columbia Film Language Glossary "is available to any student of film. Definitions and audio commentary are written and narrated by faculty at Columbia University." You can dive in right now, right here. I teach a high school Film Studies class…thank you Columbia University and Openculture for this wonderful resource!